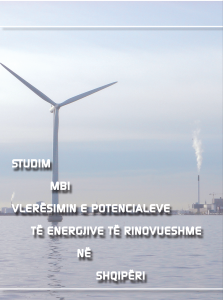 The study of “Evaluation of Renewable Energy Potentials in Albania” was conducted by Co-PLAN Institute for Habitat Development, within the framework of the “Sustainable Energy for Albania” project, funded by Cord-aid. However, during the compilation and conduction of this study many experts have provided their assistance. This research reflects a technical approach in regard to the concrete estimated energy potential, in particular to renewables.